Wraptor is the best piece of equipment that this club has purchased, to aid the introduction of beginners to the sport of rowing. It is the quickest and easiest way of developing their confidence and technique . 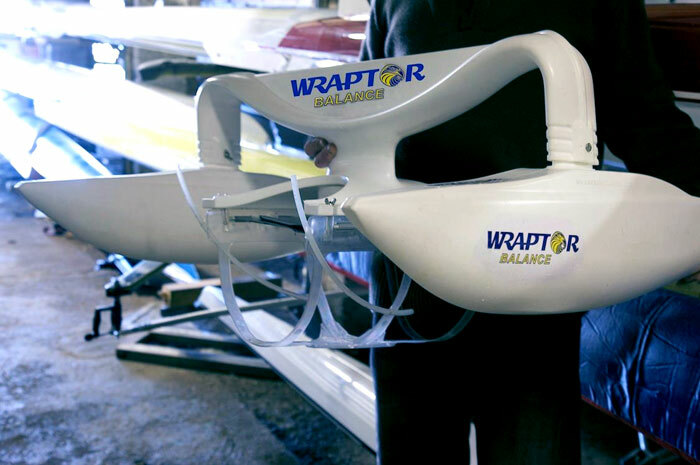 We find that the Wraptor is also a brilliant accessory for more experienced oars people and gives great opportunity to develop and improve technique . It gives the youngest rowers the confidence that they need when first trying out the single.The Wraptor also provides a safe learning environment for both the athlete and the coach. A very useful adjunct to training both for beginners learning to scull for the first time, and for more experienced athletes looking to engage in resistance training. What is good about it is you can stanardize resistance training by using this device . at the moment it’s a very ad hoc session with people tying bits of rope around the boat. It looks good and should be well received by athletes and coaches at every level. Dr Sam Lynch 2 Times World Champion Lightweight Sculls. This is a very innovative development for the world of rowing and I see many uses for it, from the high level rower all the way to the raw beginner. It also poses many possibilities for improving the equipment available to the adaptive rower. Having coached athletes from all ages and abilities from the age of 12 right the way through to world championship standard I think the Wraptor Balance is an excellent device to aid the development and confidence in young or novice athletes and can act as an excellent tool in resistance training with the more elite crews. Its multifunction use and quick release capability with absolutely no modification to the boat are excellent characteristics for such a device that is long overdue in the world of rowing.